Watauga County Sheriff Len Hagaman is warning of paving scammers in the county. He says there has been a report of them in the Mabel area. The only other information he had as of Wednesday morning was they were operating out of a white truck. The Sheriff went on to say that the workers are insisting on doing work and then claim they are owed money. 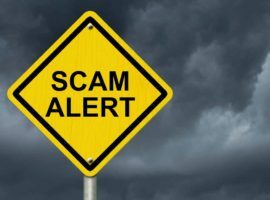 As with any situation, either in person or by phone, where you think you may be the victim of a scam or potential scam contact the Sheriff's Office at (828)264-3761.